Apple has a unique position in the marketplace. Because they are so popular for introducing game-changing products, when they don’t meet this goal it is seen as a failure. Steve Jobs is cursed with his success; he can never do anything mediocre. And that’s exactly what the newly unveiled Apple TV is, mediocre. The Apple TV wasn’t very popular compared to their other products. It was mainly ignored by popular culture, who swooned over the MacBooks, iPods, iPhones, and iPads. It was loved by those who did have it, but it was mostly the dedicated Apple users who actually looked that way. This new Apple TV has shrunk in size, lost the hard drive (and the ability to purchase movies), and added a bunch of social media features, including Flickr and Mobile Me. Also new is the inclusion of Netflix and YouTube. This is interesting because Apple clearly understands the market dominance of those two services, and their product could not compete without them. The best new feature is AirPlay, which streams from an iPad, iPhone or iPod Touch directly to the TV â€“ a cool feature for those who have one of these devices. The pre-sales are already available, and the product will begin shipping in 4 weeks. The best part is the Apple TV is now priced just $99, making it the most affordable Apple product that isnâ€™t an accessory or the iPod Shuffle. So why is it mediocre? Well, because most people arenâ€™t entirely sold on the whole-home Apple experience, so we donâ€™t have Time Vaults, iMacs, AirPorts, etc as our entire home environment. While some people might like the ability to just enter their iTunes account information and get going, most of us donâ€™t care if we get content from Amazon, Netflix, Hulu, or whatever else there is out there. There are many devices already available on the market that offer the same features for less money, and soon weâ€™ll have some with even more features at comparable costs. Also, most new HDTVs include all of these features without requiring a separate box. Roku has had their Roku HD player on the market for over a year, and it now sells for $69 (SD version is $59). It provides Amazon Video On Demand, Netflix, Facebook, and many other features. Unless you care about buying through iTunes, or streaming from an iPhone, the Apple TV doesnâ€™t quite compare. Most new Blu-ray Disc players and many new audio/video receivers include these features standard. Soon there will be products with Boxee or Google TV which also include all of these features, plus other features (like Hulu, and searching live TV). The fact that most new HDTVs come with these features is also another reason why a separate box will have to offer something even more compelling. TVs from Vizio, LG, Samsung, Panasonic, Sony, and many more all include Netflix, Amazon Video On Demand, Twitter, Facebook, YouTube, and much more. Even more, many of these new products are controllable from an iPad, iPhone or iPod Touch. 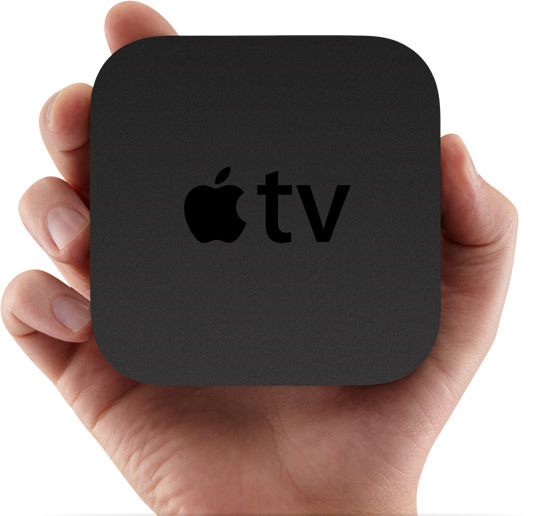 This version of the Apple TV just seems like playing catch up for Apple. It doesn’t offer anything new (besides AirPlay), and it’s not innovative. I guess this is why Jobs called it “One more thing hobby.” It’s something an Apple fan would like to add to their home, but it’s not where Apple is focusing a lot of attention. The Roku with a comparable feature set lists for $99. I’m wondering if the 99c TV show rentals from Fox and ABC will be exclusive to Apple TV. If so, that’s definitely one thing they have going for them, but I don’t see why the networks would want to limit themselves to just one device, so hopefully we’ll see the same thing coming to Roku at some point. Amazon just reduced the price of TV programs to 99c. I think I’ll wait for the Google and Boxee boxes. I’ve got a Roku for my folks and they love it, but I guess I want something more than what Roku or Apple are offering.